Tri-City Glass is full service glass company located in Carson, CA. Since 1977 we have provided the highest quality commercial and residential services throughout southern California. Family owned and operated, we have built a successful business by helping not only our customers, but our community and employees as well. Our company maintains a family friendly atmosphere and many of our installers and technicians have been with Tri- City Glass for over 20 years. Our work extends across every type of glass project and so does the diversity of our customers. Tri-City Glass works with homeowners, designers, restaurants, general contractors, owner builders, architects and millwork companies. You will find our work showcased in High-Rise office buildings, hotels and retail storefronts, down to the smallest window repair, glass shelving or mirror project. Gary Yamashita our president has built Tri-City Glass from a small glass shop located in Carson, to one of the largest glazing companies in California by one guiding principal: Reputation means everything. We do what we say we will do, when we say we are going to do it. Building owners and property managers are in the business of operating buildings that are functional and secure. They need construction specialists like Tri-City Glass that have the knowledge to install, replace or repair glass units, storefronts, hardware, storefront doors and entry way systems, as well as recommend just the right products to ensure the building works properly, looks good and feels great. At Tri-City Glass, our designers are ready to help with endless ideas for your home that you may have never imagined. From ideas with frameless shower doors, mirrored wardrobe doors, glass tables, painted glass, glass railings, replacement windows and doors and custom mirrors. The ideas are endless at Tri-City Glass. 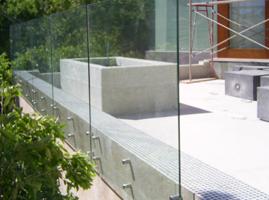 Tri-City Glass has been producing high-end architectural, structural and design glass for 38 years. 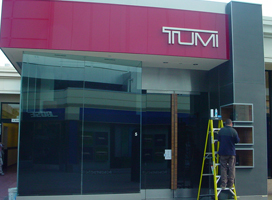 We have been a fixture in Southern California for retail storefront designs. Tri-City has the experience to do it all. 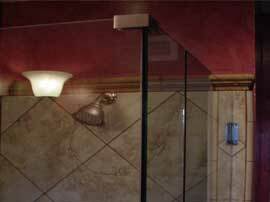 Our glass showers are designed to provide the utmost in spa-like retreats. 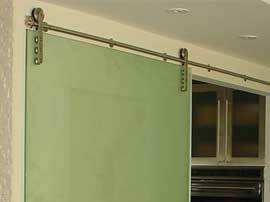 Tri-City Glass adds glamour to your home with glass railing systems that are beautiful, safe and strong. Tri-City top-hanging barn doors are built to be beautiful, thick, safe, and elegant to allow natural light to flow from one room to another.